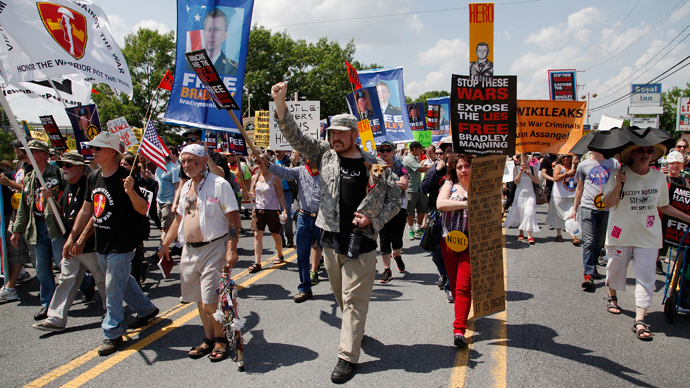 As a military judge prepares to sentence Army Private first class Bradley Manning over the largest intelligence leak in United States history, prosecutors asked Monday for the WikiLeaks source to receive no fewer than 60 years behind bars. David Coombs, the lead civilian attorney for Pfc. Manning, asked Lind for "a sentence that allows him to have a life." 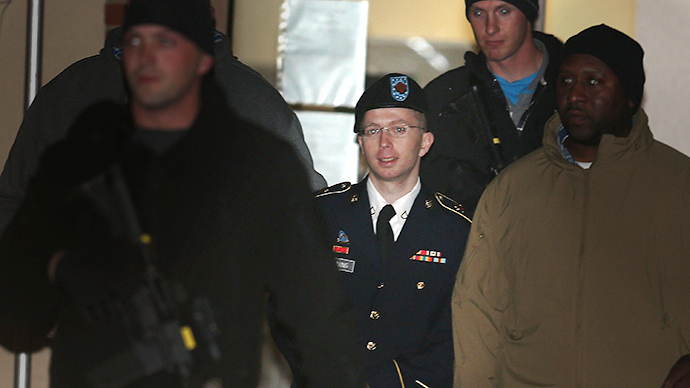 Manning would be able to apply for parole once one-third of that time is served. Manning, 25, faces a maximum of 90 years in prison for sharing a trove of classified documents with the anti-secrecy website WikiLeaks while deployed as an Army intelligence analyst in Iraq. He was arrested in May 2010 and spent over 1,100 days in pretrial detainment before his court-martial began in Ft. Meade, Maryland on June 3. Last month, Col. Lind convicted Manning of 20 counts but acquitted him of the most serious: aiding the enemy. Prosecutors argued Pfc. Manning’s disclosure directly benefited the operations of al-Qaeda extremists, and could have pursued the death penalty against the soldier. Litigation in the historic court-martial concluded Monday afternoon with Col. Lind announcing that she will reconvene Tuesday morning before beginning the deliberating process. Followers of the case expect a sentence to be handed out as early as Tuesday afternoon. If you "betray your country, you do not deserve the mercy of a court of law,” Cpt. Joe Morrow said for the prosecution. Manning’s counsel has already stated they will appeal any sentence handed down, perhaps all the way to the Supreme Court. 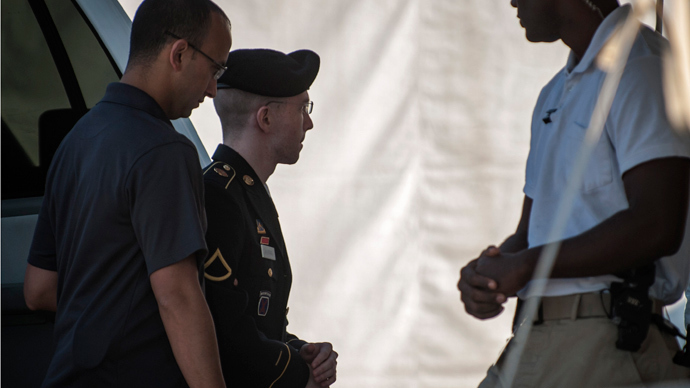 As the sentencing phase neared to a close last week, Coombs called on members of Manning’s family and the soldier himself to speak before the court. 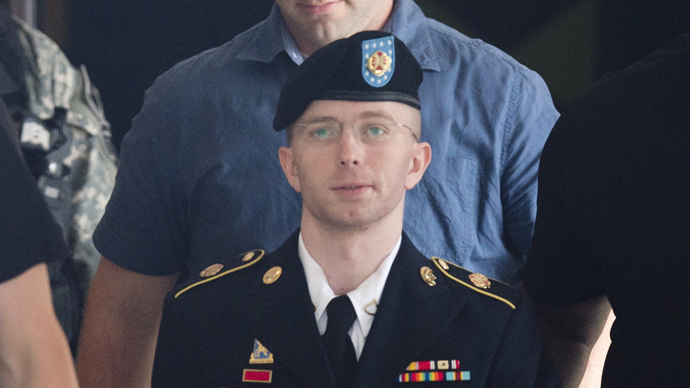 Although the counsel has largely represented their client as a humanist who went to WikiLeaks to blow the whistle on atrocities of war, last week’s testimonies turned towards portraying Manning additionally as an intelligent but troubled young soldier who struggled with gender identity dysphonia in a discriminatory arena after a childhood tainted by abusive, alcoholic parents. Witnesses called last Thursday also included a forensic psychiatrist who testified that Manning exhibited traits of grandiosity and haughtiness, and a clinical psychologist who said the soldier’s anxiety was exasperated greatly during deployment. 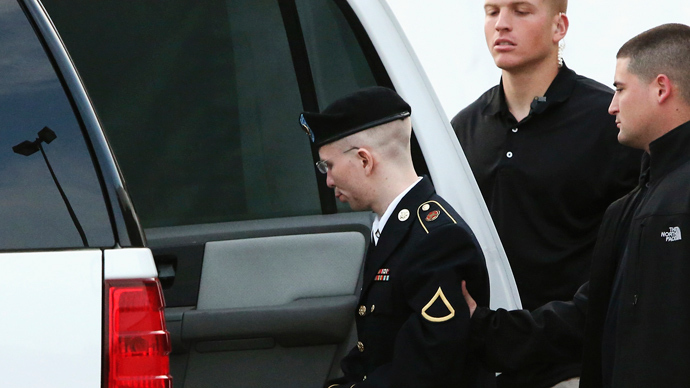 According to both doctors, Manning could have been court-martialed earlier in his deployment had he spoke openly about his gender identity issues. “I want people to see the truth…regardless of who they are…because without information, you cannot make informed decisions as a public,” Manning wrote before his 2010 arrest. In his statement last week, however, Manning suggested that in hindsight his attempt at world change was futile. “How on earth could I, a junior analyst, possibly believe I could change the world for the better over the decisions of those with the proper authority?” Pfc. Manning said. "I am sorry for the unintended consequences of my actions,” a tearful, trembling Manning told the court. “When I made these decisions I believed I was going to help people, not hurt people." MANNING: "I'm sorry that my actions hurt people and I'm sorry that it hurt the United States." 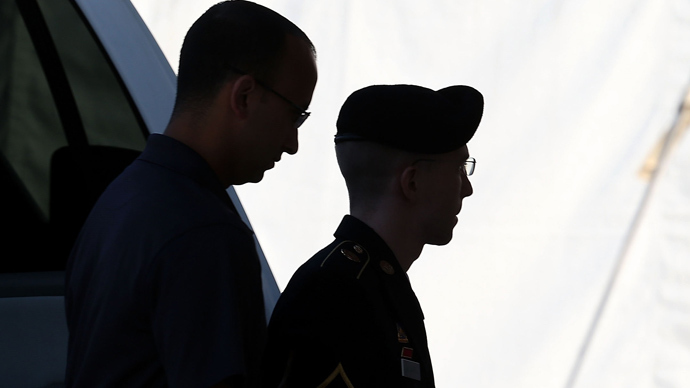 Earlier on in the merits phase of the court-martial, prosecutors attempted to label Manning an “information anarchist” who knew fully well that releasing classified documents could aid America’s adversaries. When prosecutors made their final remarks on Monday, they portrayed Pfc. Manning to the court as a determined insider who exploited an imperfect system. "No step we can take as nation, as military, that’s going to stop determined insider,” the prosecution said. “Our systems will always be exploitable."